The 104-foot-tall (32-meter) rocket ignited its solid-fueled Castor 120 first stage booster at 2:37 p.m. PDT (5:37 p.m. EDT; 2137 GMT) Tuesday after a smooth countdown, quickly climbing away from pad 576E at Vandenberg Air Force Base. Powered by more than 400,000 pounds of thrust, the Minotaur-C pierced a broken deck of clouds as it headed south from Vandenberg and surpassed the speed of sound in less than 30 seconds. An Orion 50S XLT second stage motor took over about a minute-and-a-half into the flight as the rocket reached the rarefied upper layers of the atmosphere. The Minotaur-C rocket is a rebranded, upgraded version of Orbital ATK’s Taurus XL launcher, which last flew in March 2011, when it failed to put a NASA climate research satellite into orbit. The Taurus XL’s payload fairing clung to the rocket, and the rocket was unable to overcome the unexpected extra weight and reach the required speed to enter orbit. The rocket and its NASA-funded payload fell back to Earth and burned up in the atmosphere, the second of two back-to-back Taurus launch failures blamed on faulty fairing separation mechanisms. The fairing protects the rocket’s payload from aerodynamic stress as it flies through the lower atmosphere. NASA switched the launch of another Earth science satellite to a different rocket, leaving the Taurus program’s future in doubt. But Orbital ATK, then known as Orbital Sciences, redesigned parts of the fairing and modified the Taurus rocket’s avionics systems, adding hardware demonstrated on the company’s Minotaur 1 and Minotaur 4 rocket families. The Taurus XL also got a new name — the Minotaur-C — signifying it as a commercial variant of the Minotaur family. An engineer calling out status updates during the launch confirmed separation of the clamshell-like fairing around three minutes after liftoff, soliciting cheers from employees and officials at the Vandenberg launch base. The Minotaur-C launched Tuesday flew with a different fairing than the Taurus rockets launched in 2009 and 2011. The shroud spanned 92 inches (2.3 meters) in diameter, wider than the nose cones flown on the last two Taurus rockets. 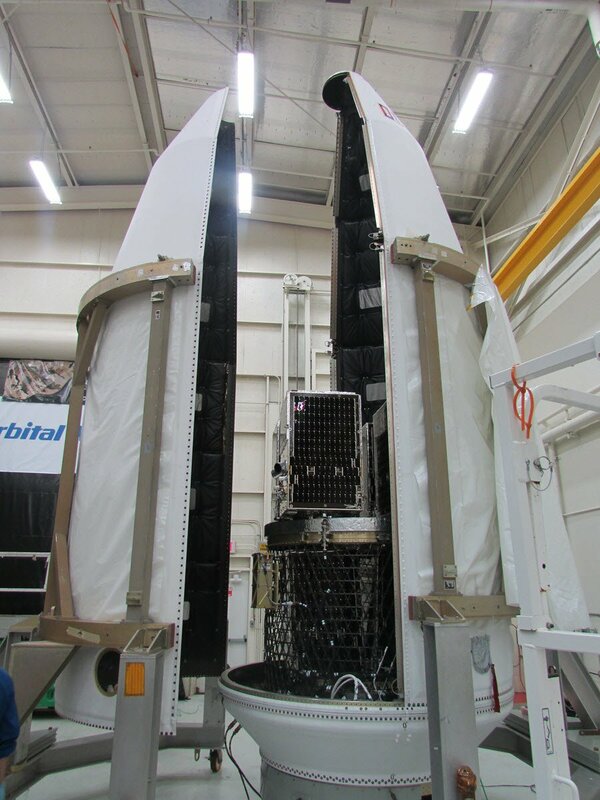 Orbital ATK managers expressed confidence in the fairing going into Tuesday’s launch. They said the Minotaur-C’s fairing design was flight-proven in several recent missions, including a Minotaur 4 launch in August. Once past the fairing separation milestone, two more solid-fueled Orion rocket motors fired in succession to place Planet’s satellites into a near-circular polar orbit around 310 miles (500 kilometers) above Earth. The Minotaur-C’s upper stage passed out of range of a radio receiver at Vandenberg before the satellite deployments began, so the launch team had to wait until the spacecraft passed over another ground station to confirm the success of the final phase of the mission. Six 242-pound (110-kilogram) SkySats separated first, followed by the deployment of four 10-pound (3-kilogram) Dove CubeSats. Planet and Orbital ATK declared the launch a success about two-and-a-half hours later, and officials said all 10 satellites contacted ground stations as expected. The spacecraft were tracked in an on-target orbit inclined 97.4 degrees to the equator. The SkySats will open covers on their imaging telescopes in the next few days to begin taking pictures. It will take a few weeks to commission the satellites and ready them for regular operations. Built by Space Systems/Loral, each of the SkySats is about the size of a dorm room refrigerator — measuring 2.5 feet by 2 feet by 2 feet (95 by 60 by 60 centimeters). The Doves are built in-house by Planet and are roughly the size of a shoebox. They join a fleet of approximately 190 satellites owned and operated by Planet, including around 172 that are actively imaging. 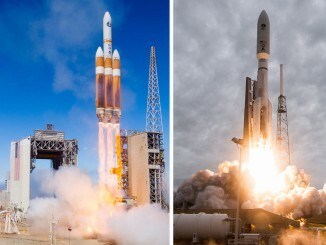 Tuesday’s mission marked the 20th launch with Planet satellites on-board, but the company’s first dedicated rocket flight. For Orbital ATK, Tuesday’s success gives hope that the former Taurus program could have a future. There are no more Minotaur-C launches on the books, but managers hope cost reductions and Tuesday’s apparently flawless return-to-flight mission will catch the attention of prospective customers, such as NASA and commercial clients. Officials said sharing engineering teams and components between the Minotaur, Minotaur-C and the company’s air-launched Pegasus rocket will cut overhead costs. Orbital ATK’s future in the commercial launch market, at least for now, could hinge on proving the Minotaur-C’s reliability and making the solid-fueled rocket affordable. U.S. law prohibits Orbital ATK from selling Minotaur 1 and Minotaur 4 launch services to commercial customers because they use retired missile parts. Proponents of the law say lifting of the ban would give an unfair advantage to companies like Orbital ATK and slow development of new commercial rockets by undercutting their costs. Orbital ATK has pushed to end the ban, which keeps the Minotaur 1 and Minotaur 4 rockets walled off from the commercial market and available only to launch U.S. military payloads. 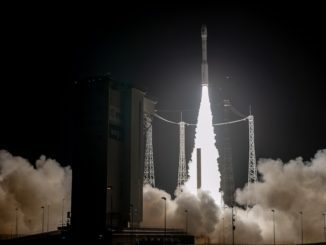 Europe’s Vega rocket, marketed by Arianespace, has also found a niche in launching small-sized Earth observation satellites, often for governments without a vibrant domestic launch capability, such as Vietnam, Peru, Morocco and Kazakhstan. Orbital ATK wants to compete for those launch opportunities. The Minotaur rockets employing retired missile motors are less expensive than the Minotaur-C, even with Orbital ATK’s latest cost reduction measures, Joyce said. “We do see this part of the market as potentially very significant, so we’re looking and continuing to evolve the Minotaur-C and its propulsion system to drastically reduce the cost of the classic Taurus to what we’re going to be able to offer going forward,” Joyce said in a pre-launch interview with Spaceflight Now. 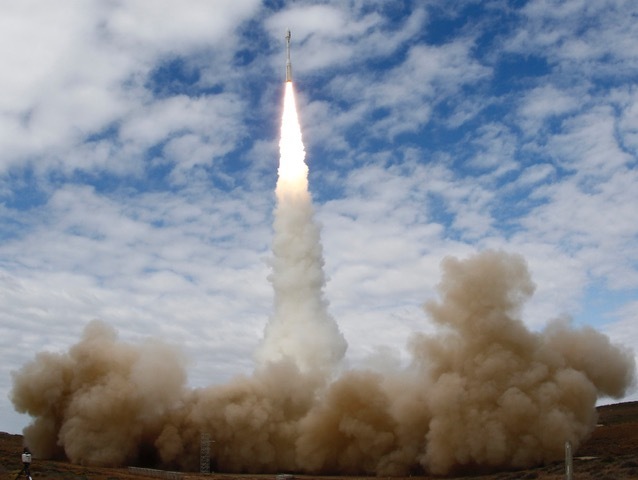 Corporate executives touted the 2015 merger of Orbital Sciences and ATK as another way to achieve cost savings. The Minotaur 1 uses two booster stages from decommissioned Minuteman missiles, and the Minotaur 4 family is powered by three rocket motors from the Peacekeeper missile program. Both versions of the Minotaur have commercially-produced upper stage motors to place satellites in orbit. The Minotaur-C’s first stage — called Stage 0 by Orbital ATK — is a Castor 120 rocket motor that is the commercial equivalent of a Peacekeeper first stage. Derivatives of Orbital ATK’s Orion 50 and Orion 38 rocket motors did the rest of the job of climbing into orbit. According to an Orbital ATK fact sheet, the Minotaur-C can haul up payloads of up to 3,214 pounds (1,458 kilograms) to an orbital altitude of 250 miles (400 kilometers). The commercially-produced rocket motors are more expensive to prepare for a launch than government-furnished missile components. Government oversight officials have conducted preliminary studies of how retired missile stages could be turned over to commercial launch providers, examining different ways to gauge the cost of the government-owned motors and charge companies for their use. Orbital ATK has sold recent Minotaur 1 and Minotaur 4 missions to the U.S. Defense Department for less than $30 million. While financial details for Tuesday’s mission were not disclosed, industry officials say a Minotaur-C launch costs between $40 million and $45 million. Planet has already launched satellites on the Minotaur-C’s would-be competitors like the PSLV, Vega and the Russian Soyuz rocket. The company’s launch contract with Orbital ATK was originally reserved by Terra Bella, which Planet acquired from Google earlier his year. 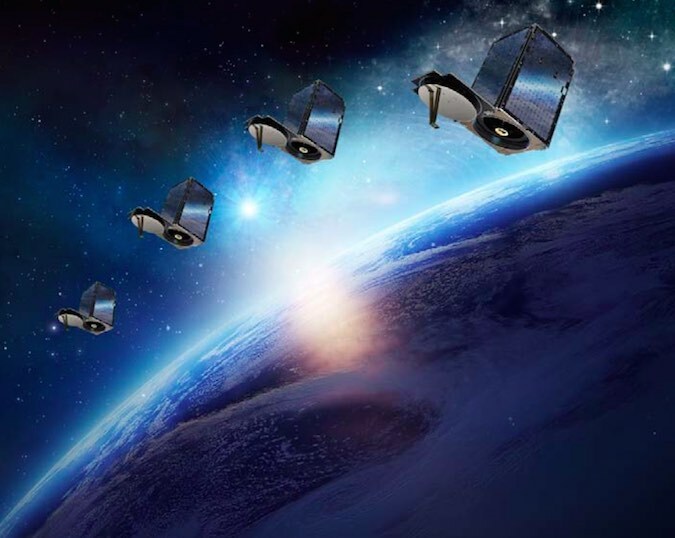 Terra Bella, formerly known as Skybox Imaging, started the SkySat satellite program, while Planet’s heritage lies in the Dove CubeSat constellation. All the SkySat and Dove satellites launched to date have flown as secondary payloads, either aboard a rocket carrying larger spacecraft or as a piggyback on supply ships heading to the International Space Station. Small satellite owners like Planet would like to see more launch options for their spacecraft, particularly for dedicated rides. 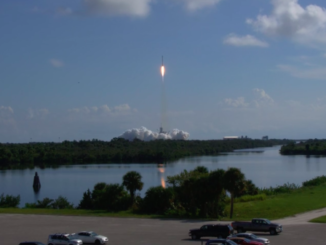 Several companies, such as Rocket Lab and Virgin Orbit, are working on light-class launch vehicles sized to haul up to several hundred pounds into low Earth orbit, but neither have successfully reached orbit. Customers with satellites hitching a ride on a larger rocket are at the mercy of their co-passengers. While satellite owners can find reduced launch costs on a rideshare mission, they run the risk of delays, and launch brokers cannot put all of the payloads in their perfectly-desired orbit. It’s a tradeoff that challenges many satellite owners. “One of the main advantages is control over schedule and control over the orbit, and that is a big deal for us,” Safyan said. Most of Planet’s satellites are in sun-synchronous-type orbits that fly over imaging targets in the morning. The SkySats and Doves that went up Tuesday were positioned in orbits with afternoon coverage. Fueled by a non-toxic “green” propellant blend based on ammonium dinitrimide, the SkySats will spread out in orbit and enter service within a few weeks after launch, Safyan said. Bradford ECAPS, the Dutch-Swedish company which builds the SkySat propulsion module, says the high performance green propulsion system offers better performance than conventional hydrazine maneuvering jets, and the units are easier to transport and prepare for launch. The launch of six SkySats on Tuesday was the biggest deployment of satellites with “green” propulsion in history, officials said. The SkySats collect imagery with resolution as sharp as 2.6 feet (80 centimeters), an imaging resolution exceeded larger, more expensive satellites owned by companies like Airbus and DigitalGlobe. But the strength of the multi-satellite constellation is its revisit capability, allowing rapid refresh views of imaging targets around the world, and the video recording capability is a unique offering in the commercial remote sensing market. 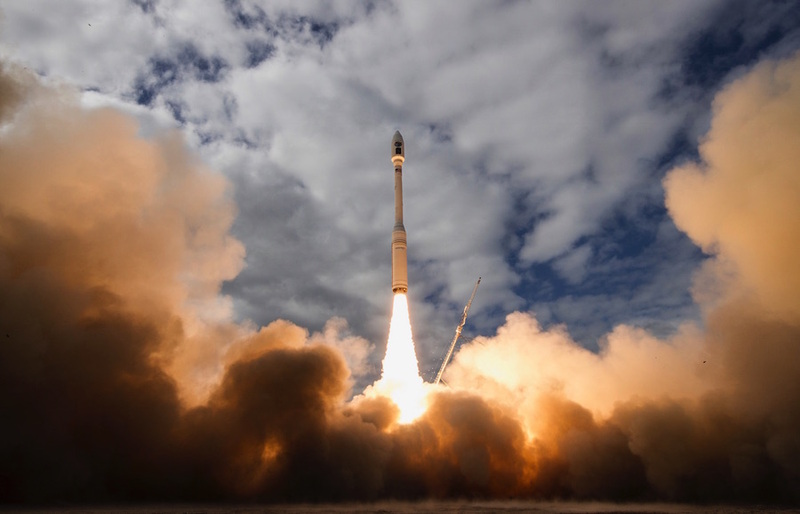 Planet has launched nearly 300 satellites since 2013, some of which have ended their missions. Each Dove satellite can collect imagery of an area the size of Mexico each day, and the constellation together can map all of Earth’s land masses in 24 hours. 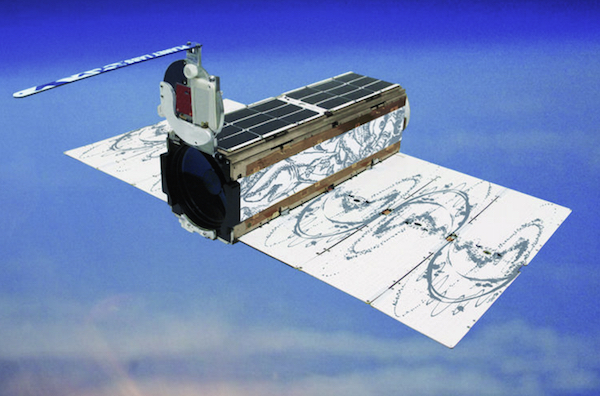 The Doves are designed for broader, medium-resolution imaging coverage, a complementary offering to the more detailed views provided by the SkySats. While the SkySats are fitted with rocket thrusters to change their orbits, the Doves do not carry propulsion. They spread out with the help of aerodynamic drag, using their extendable solar panels as makeshift wings in the tenuous atmosphere still present in low Earth orbit. Space Systems/Loral is building at least eight more SkySats, Safyan told Spaceflight Now. Two of them will launch from Vandenberg next year on a rideshare mission to sun-synchronous orbit on a SpaceX Falcon 9 rocket, and Planet is still finalizing launch arrangements for the other six.